Going Camping? Travelling on the Road? 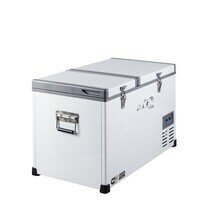 Need to keep your food and drinks cool or even frozen? 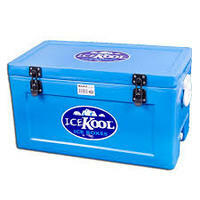 Expand the cold storage in your caravan or even some extra freezer space over Christmas? Choosing the right camping fridge for your application can be tricky with all the options and brands available. Sometimes the right fridge for your application may not be the most expensive or even the most popular. If you are unsure where to start and just want to talk to an expert - Dial 1800 RV PARTS and one of our friendly team members who can save you time, money and disappointment by choosing the best fridge for your application the first time. 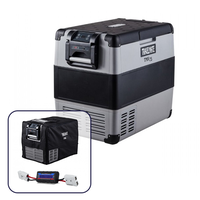 Insulation; the #1 factor in determining how efficient your portable fridge unit will be. The higher the quality and thicker the insulation in the cabinet, the lower your overall power usage. There can be negatives with a larger amount of insulation, though these negatives are limited to a small increase in overall size and a small increase in overall weight, for most people these small tradeoffs are worth the advantages. 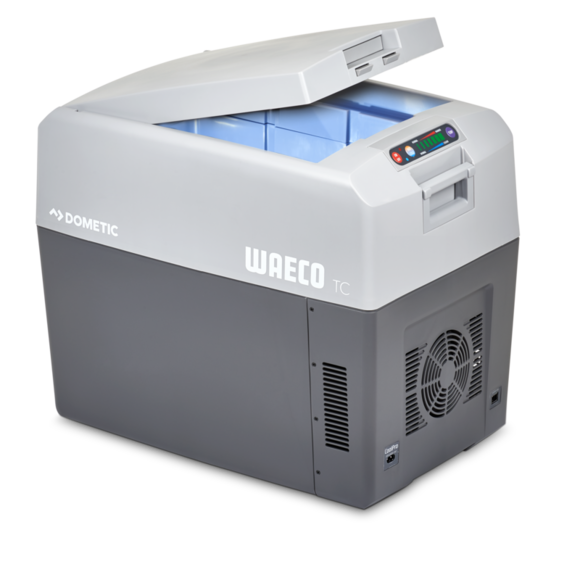 An easy way to find a greater performance in a portable refrigeration unit is to look for thick walls, a thick insulated lid and solid construction. 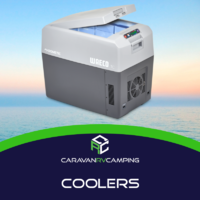 Some units also give the option to purchase a cover to help improve the insulating qualities of the unit, this can be extremely helpful in situations where the portable fridge freezer will be exposed to direct sunlight. Your next decision should relate to the zones you would like, there are multiple options in single, dual and even triple zone units. A unit with dual zones can allow for different temperature zones, like a split fridge freezer, whereas a single zone unit has the advantage of typically lower power usage and a larger capacity for the same footprint. If you are unsure, please feel free to phone our technical team on 1800 787 278 (1800 RV PARTS). 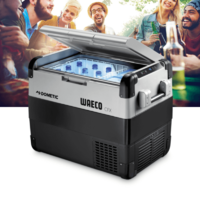 What is the Best Portable Fridge? A good quality compressor will provide optimum performance over a longer period of time. The key to a long-lasting compressor depends on the workload that is required from it. Extreme climate conditions, harsh environmental conditions and inferior insulating properties will adversely affect any type of compressor and their expected lifespan. 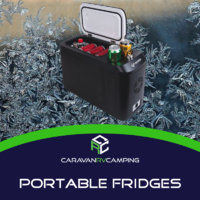 So just like picking your next car or caravan; consider the conditions you plan on using your fridge in and how often you might use it, the more serious the workload, the more serious you need to focus on choosing the best Compressor for your portable fridge freezer. We have found that generally the bigger brand name rotary compressors like Secop (formally Danfoss) and Evakool’s Australian designed EK series compressors are individually balanced and tested. Compressors that are not individually balanced and tested are prone to vibration and a shorter lifespan. Both Secop and Evakool’s EK compressor are rubber mounted externally and spring mounted internally, with both internal and external movement limiters. Some manufactures have also added additional support, reinforcement and vibration loops to even further reduce any external vibration or movement on the compressor. Reciprocating compressors like the Sawafuji Swing Motor that Engel use by design are very efficient and reliable. This is because a magnet is used reduce friction on the inner workings and utilise one main moving part. The draw back to this is that being reciprocating can cause a little more vibration and noise compared to a rotary type compressor. When testing side by side, the efficiency is also quite comparable due to the introduction of variable speed rotary compressors. We have found in general that the lifespan of both rotary and reciprocating style refrigeration compressors are similar in the long term. Generally it is the conditions the unit is used in that will effect the lifespan of the compressor, rather than the style of compressor itself. In either case, both the Rotary and Reciprocating style compressors have lifetimes typically discussed in terms of Years and Years, with some models proving their reliability over decades. 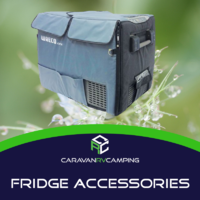 In our opinion the best fridge to buy for travellers in Australian conditions would be the models that are robust in construction internally and externally, have good insulation qualities and a quality compressor. 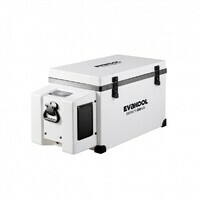 These days the quality of portable camping fridges across the board has improved dramatically, and it is preference to physical sizes to suit your application and convenient features like smart phone charging, dualzone operation, side/front lid opening options and remote monitoring that influence the final purchase decision. Price point is a big factor in any camping fridge freezer decision. Our best advice is to find the fridges that tick all the boxes as far as quality and reliability, then work on finding the fridge that will suit your size requirement. From here it comes down to all those little design features that will influence your decision. While pricing will not differ too much between brands, it is guaranteed the extra features certainly will. 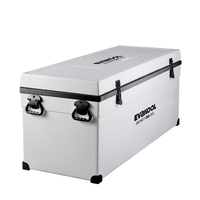 What is the Best Esky? 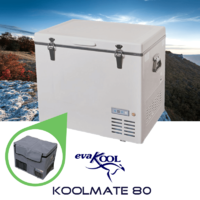 Picking the best Esky (portable icebox, icebox, chilly bin or cooler, depending on where you are from) is easier in some ways than the above-mentioned portable fridge freezer. 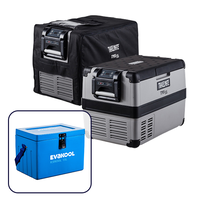 There are only two main factors that come into play when it comes to choosing your next esky cooler; insulation and size. I would suggest starting at the size you can work with / fit. 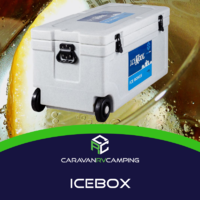 As a guide you can fit enough food and drinks for 4 people for 3 Days in a 60 litre icebox, though this may take some management depending on the level of fluids the group would consume. This would also mean a 60 litre esky would last 1 person around 12 days, though ice retention would become a factor before the beer ran out. Insulation is the other factor to consider; once you have found the right size, look for the largest amount of insulation in the right size esky and you will be happy. Another option to consider, if you have found yourself looking at a 100+ litre icebox to suit your needs, you might find a better more manageable option is to purchase 2 smaller iceboxes. 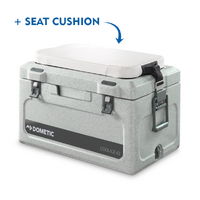 This also gives you the great ability to take just one smaller icebox on smaller trip, or both on those bigger getaways.